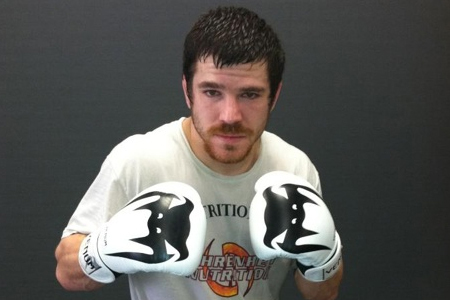 A critical lightweight scrap between Jim Miller (pictured) and Fabricio Camoes has been added to the UFC 168 lineup. Miller, once on pace for a crack at the 155-pound crown, has been on a bit of a roller coaster ride since 2011. He was dominated by Pat Healy in April at UFC 159, but the verdict was overturned to a no contest after Healy tested positive for marijuana. Prior to that contest, Miller had alternated between wins and losses over his last five fights. Camoes has won four of his past fight bouts. However, the Brazilian dropped a unanimous decision to Melvin Guillard in his most recent outing at UFC 168. The lightweight contest will appear in the night’s prelims. UFC 168 takes place December 28 inside MGM Grand Garden Arena in Las Vegas, Nevada.